Tamarack Aerospace Group announced today that it has appointed Brian Cox as President. Brian joined Tamarack in 2015 and previously served as the company’s Chief Operating Officer. He holds degrees from University of Idaho in Accounting and Information Systems, as well as an MBA from the University of Washington. Prior to joining Tamarack Brian served in leadership roles in the forestry services sector. 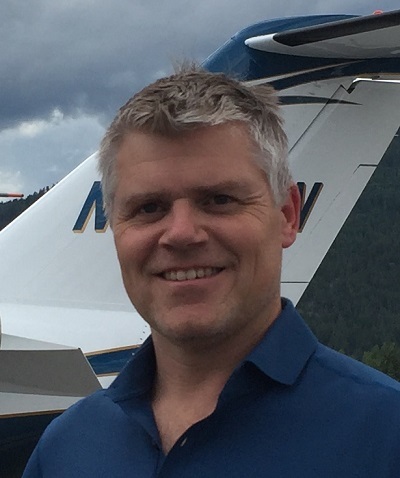 “The rapid expansion of our dealer network, our growing footprint in Sandpoint, our FAA Repair Station authorization, plus the high quality of our Active Winglet kits are just a few examples of Brian’s leadership. He has a proven track record of making things happen and constantly moving the organization forward. Brian’s expanded role is great news for Tamarack and means that there are more good things to come” said Tamarack Founder Nick Guida. Idaho based Tamarack Aerospace Group Inc. invented and patented the revolutionary Active Winglet system. Tamarack’s certified Active Winglets are three to four times more efficient than passive (traditional) winglets. The Active Winglet system typically provides performance gains and increased asset value. The Active Winglet system is comprised of a wing tip extension, a highly tuned winglet, and load alleviation technology. The load alleviation system counteracts gust or maneuver wing loading events and eliminates the heavy wing reinforcement and structural additions required by all passive winglets.